Situated in Licata, this hotel is within 1 mi (2 km) of Castel Sant'Angelo, Licata Town Hall, and Museo archeologico della Badia. Church of Santa Maria La Nova and Licata Lighthouse are also within 2 mi (3 km). Licata Station is 22 minutes by foot. 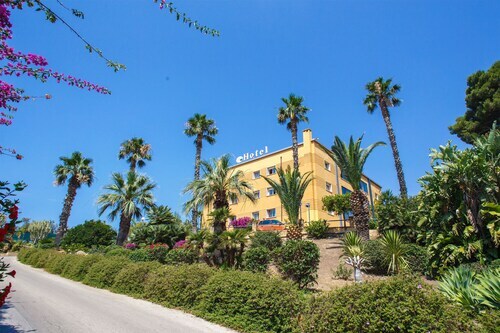 Situated near the beach, this hotel is within a 5-minute walk of Licata Lighthouse, Church of Santa Maria La Nova, and Museo archeologico della Badia. Cloister of St. Francis and Marina of Cala del Sole are also within 10 minutes. Licata Station is 14 minutes by foot. This Licata holiday park is on the beach, 1.9 mi (3 km) from Falconara Castle, and within 6 mi (10 km) of Marina of Cala del Sole and The Port - Shopping Center. Church of Santa Maria La Nova and Museo archeologico della Badia are also within 6 mi (10 km). Situated in Licata, this bed & breakfast is within a 5-minute walk of Church of Santa Maria La Nova, Museo archeologico della Badia, and Cloister of St. Francis. Licata Town Hall and The Port - Shopping Center are also within 10 minutes. Licata Station is 13 minutes by foot. How Much is a Hotel Room in Licata? 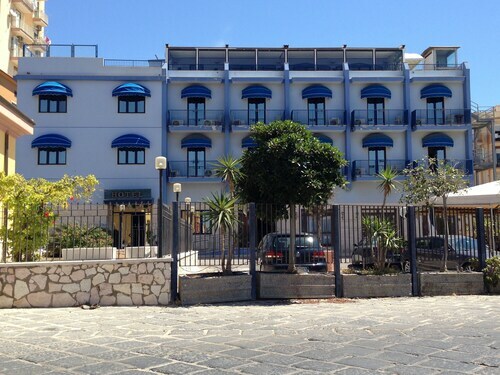 Hotels in Licata start at $60 per night. Prices and availability subject to change. Additional terms may apply. 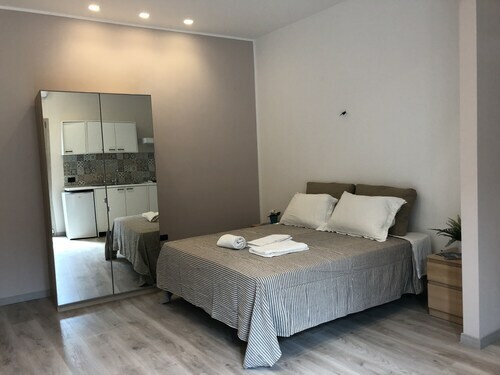 If you are journeying around Agrigento and are planning on spending a few days in Licata, there are a small range of hotels, apartments and other accommodation options. 3 hotels listed on Travelocity are within easy driving distance from the city centre. 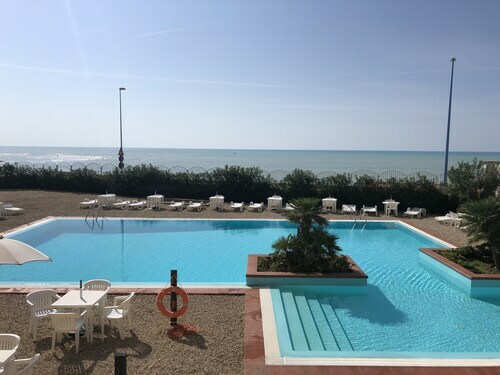 Find out about quite a few hotels you can stay at within a 3 miles (5 kilometers) of Licata's downtown precinct, like the Baia D'Oro Hotel and Hotel Villa Giuliana. 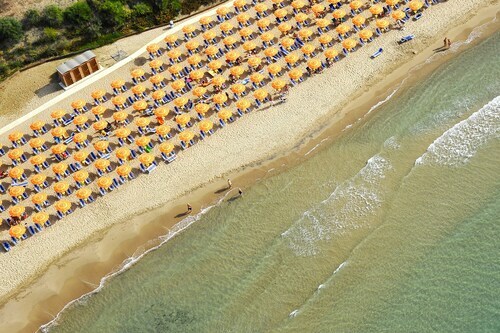 Travelocity's accommodation database offers only a handful of budget lodging options in Licata. The Hotel Villa Giuliana is one such offering. 8 miles (12 kilometers) from the heart of Licata, you will come across the Falconara Charming House & Resort. The Belmonte Hotel is situated 18 miles (30 kilometers) away. Some other hotels and apartment options are the Hotel degli Angeli and the Tra i Frutti. Planning to explore further afield? Sicily has many impressive attractions worth seeing. Sicily is home to rural landscapes, beaches and rivers. Frequented traveler attractions are ruins and castles. In this area of Italy visitors might take up the chance to partake in snowboarding. Are you looking for things to do? You could spend a few hours discovering Lumia and Castello Incantato, which you'll find in Sciacca, 50 miles (84 kilometers) northwest of Licata. The Hotel Club Torre Del Barone and Club Lipari are just a handful of the great lodging alternatives in Sciacca. 40 miles (67 kilometers) northwest of Licata, you will find Ribera, which boasts the Kamemi Camping Village and Oasi Del Borgo. If you're staying in Ribera, a couple of places to add to your itinerary are the Castello Poggiodiana and Secca Grande Beach. If you are curious about sport and like to watch local clashes you and your traveling partner could take a trip to Autodromo di Pergusa, which can be found 35 miles (54 kilometers) to the northeast of Licata. Modern visitors wanting to find a bed near to the action can look at the Federico II Palace Hotel or the Hotel Riviera. Before you and your traveling partner make tracks to Licata, make sure you take the time to browse our Licata travel page where you'll hear the secrets of all the things to see and do on offer. Went to Agrigento to visit the Valle di Templi and needed an affordable place, preferably close to a beach with a pool. This place fit the bill. Nothing fancy. Did the trick. My room was small but clean and the A/C worked well even when it was 40 degrees C (100 F). The beach right in front of the hotel is large, but extremely dirty with trash and litter everywhere. It seems people have no regard for the environment here and they just throw their plastic bottles and trash on the ground wherever it suits them. I found this to be very disturbing. There was also a lot of uncollected trash bins overflowing with rubbish along the streets, which is very unsightly. It's really too bad because this is a pretty decent hotel for the price, but it's in a trashy area. The pool at the hotel is nice, but it was very crowed with locals and kids so I really did not want to spend too much time there. 5.0 Room with a View! This hotel is absolutely perfect with views from large patios facing the Concordia Temple. The day and night views are spectacular! The pleasant recent stay that I and my daughter had at this hotel was all due to the wonderful family that runs it. They even drove us to the Valley of the Temples themselves when we found ourselves without transportation. The restaurant is very good and serves authentic food from the region.